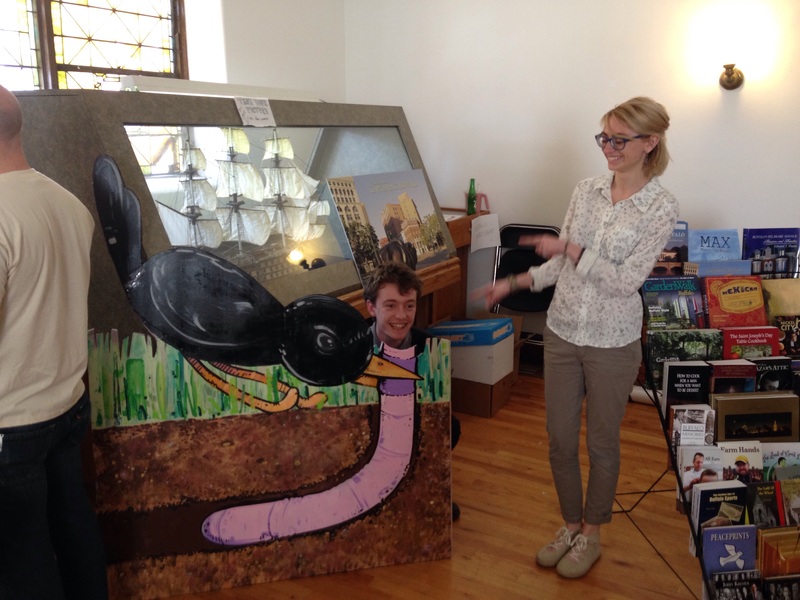 Leapfrog takes on Buffalo’s Small Press Book Fair! 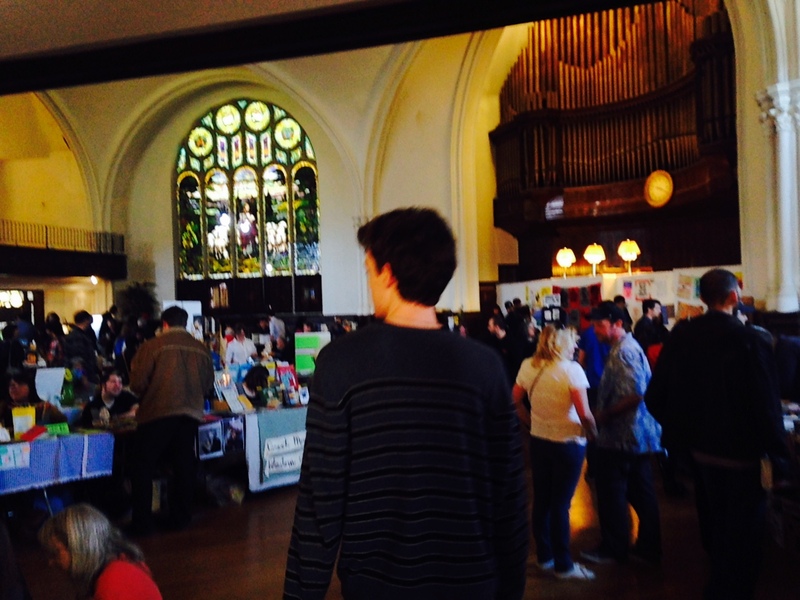 I think everyone who attended the event would agree that this weekend’s book fair was a success! 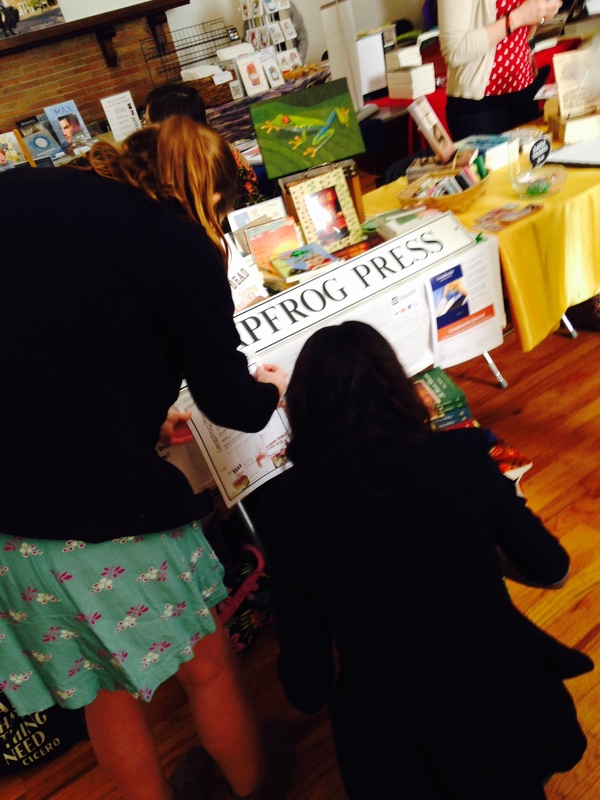 Dozens of Leapfrog books were distributed along with tons of information on our press. 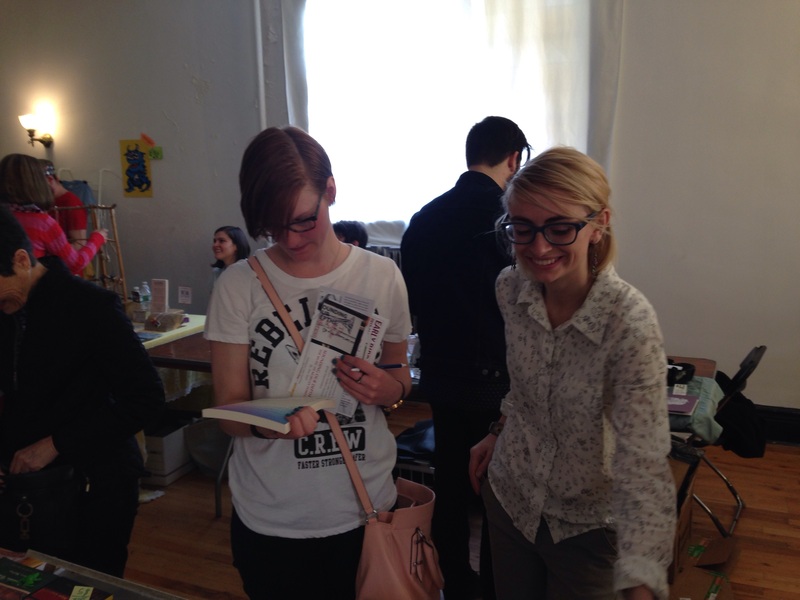 It was inspiring to see the support Buffalo has for small publishing companies like us along with self-published authors and other crafters. Attention book enthusiasts of Western New York! 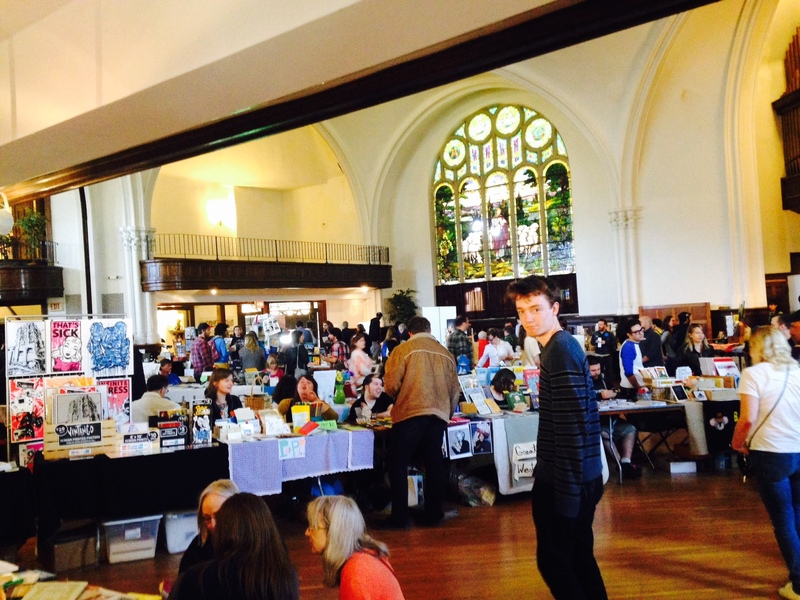 We’ll be at the Buffalo Small Press Book Fair on April 18th and 19th, along with more than 100 other outrageously cool booksellers, artists and assorted craftspeople. We’d love to see you there. We’ll have the new issue of Crossborder for sale, and back issues for free if you subscribe at the fair. 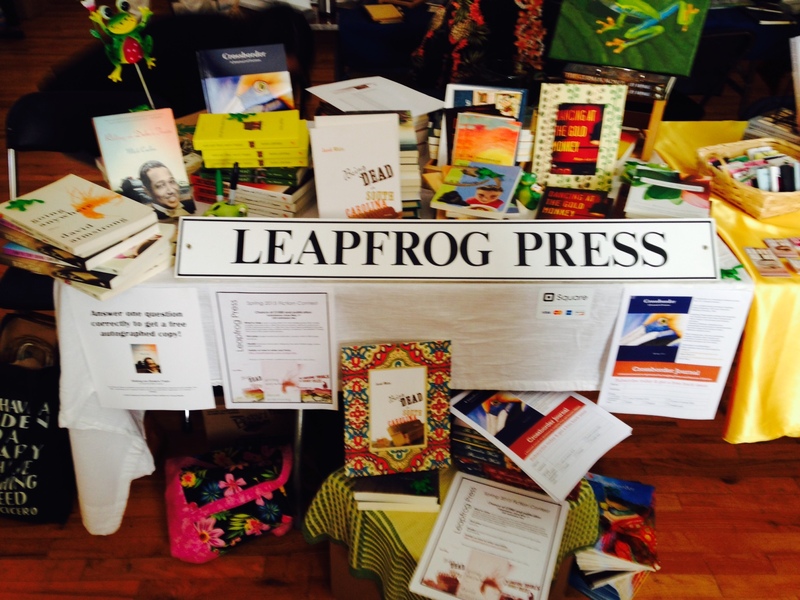 We’ll have books for sale at discounted prices, and every purchase you make will enter you into a raffle to win an awesome frog painting that you can hang on your wall as a reminder to submit to our fiction contest, which is still open until May 1st. And we’ll have our beautiful faces, waiting to look at and talk to your beautiful faces. Check out the BSPBF’s website for directions, detailed schedule and any other information you might need.